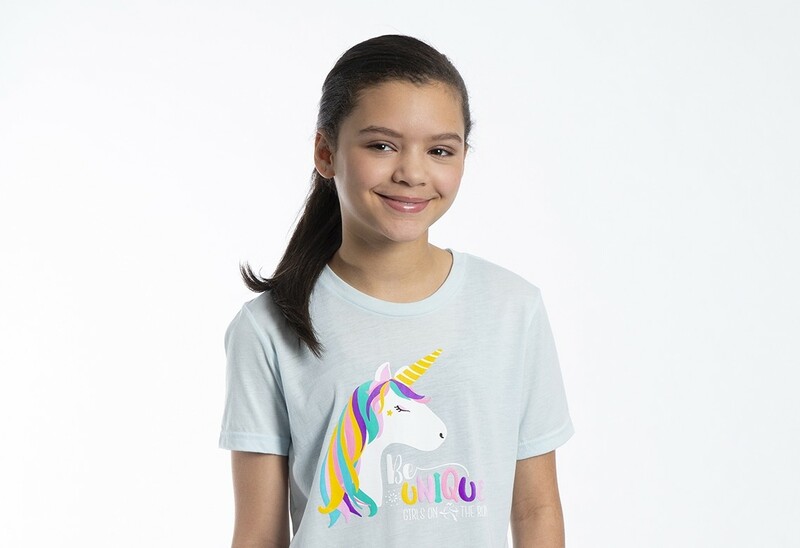 Being unique means embracing differences and finding strength in connectedness! Where does your girl fit in? 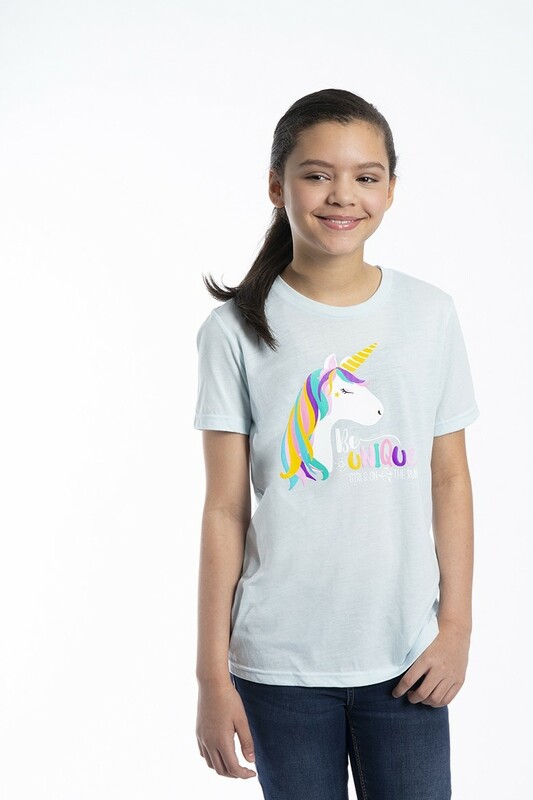 She’ll be more magical than a unicorn in this exclusive, super-soft Girls on the Run favorite by Bella + Canvas! Tri-blend fabric. The model is 4’ 9” and is wearing a size Large.